Greater Raleigh Beer Month is in full force and so is the beautiful spring weather. So, how can you celebrate? Start tasting! Greater Raleigh breweries are brewing excellent India Pale Ales (IPAs), a hoppy beer style within the broader category of a pale ale. I encourage you to visit one of the following breweries to sample a local N.C. IPA. One of the oldest breweries in Greater Raleigh, Carolina Brewing Company, first started brewing its IPA as a seasonal Summer IPA in 2005. The beer was such a hit that Carolina Brewing Company decided to make it available year round in 2006. A very sessionable IPA, it is 5.4-percent ABV and has a nice malt background to balance the citrusy bite from the Crystal hops. Deep in the Umstead Industrial Park, Gizmo Brew Works released the Pitch Hitter, a rye IPA with heavy-handed additions of Simcoe and Chinook hops. Hurry out to the taproom to try this limited release “prototype” beer. If you love earthy notes and subtle sweetness, the Palisade Wasp IPA is a great choice. The Palisade Wasp IPA conveys a strong floral aroma with a hint of tangerine. Its complex flavor imparts apricots, flowers and an earthy, grassy bitterness, accentuated by a clean, dry finish. Located behind Hillsborough St. in Raleigh, Raleigh Brewing Company is creating a delicious IPA called the House of Clay Rye IPA. This IPA is rich with citrus, pine and tropical fruit from copious amounts of hops added late in the kettle and the fermentation tank. Rye notes sneak in with a sharp kick that really lifts the hops on your palate. Lonerider Brewing Company‘s Addie’s Revenge was released this Mar. in time for N.C. Beer Month. An abundance of citrusy hops make up the nose and flavor of Addie’s Revenge. Addie’s Revenge is rounded out with pale vienna and crystal malts. Hurry! Addie’s Revenge is one of Lonerider Brewing Company’s Outlawed Releases and will only be available for a limited time. 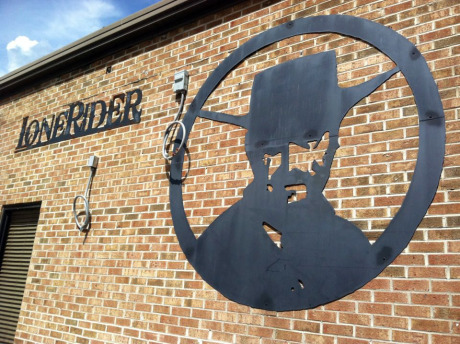 Only a few miles down the road from Lonerider Brewing Company, you’ll find Lynnwood Brewing Concern. Its Hop On Top is a West Coast-style American IPA with aromas of citrus, grapefruit and pine from the generous use of American hops. Hop On Top has a medium-high bitterness with a dry finish. Lynnwood Brewing Concern also brews the Hubris Imperial IPA. This beer is aggressively dry hopped with Amarillo, Citra, Simcoe and Mosaic hops, which produce aromas of citrus, pine, apricot and mango with a hint of a bready malt flavor. Grab a Hop On Top or Hubris Imperial IPA and enjoy some delicious food at Lynnwood Grill, too. Crank Arm Brewing, located in downtown Raleigh’s Warehouse District is brewing the Rickshaw Rye IPA. This brew is an American-style IPA that gets a dose of spicy rye malt to add complexity. In addition, Crank Arm Brewing uses American variety Zythos blend and Nugget hops to give a unique flavor and aroma to the Rickshaw Rye IPA. Located in downtown Raleigh, Trophy Brewing Company is conveniently close to Crank Arm Brewing. Trophy Brewing Company currently has a Belgian IPA on tap called the Biggest Flirt. The Biggest Flirt has a hazy and deliciously floral and tropical aroma from the late hop addition of Nelson Sauvin. If you’re looking to have a brew with a view of the downtown Raleigh skyline, head to Boylan Bridge Brewpub. Hopped Off the Tracks IPA is Boylan Bridge Brewpub’s hoppiest offering bittered with Millennium hops. The malt flavor is sweet, medium bodied and balanced with the flavor of Warrior hops. Aviator Brewing Company‘s HogWild IPA is a popular beer with a light malt backbone and big hop taste. HogWild is a West Coast-style IPA with an upfront hop flavor including Chinook, Cascasde, Columbus, Centennial, Willamette and Galena hops. 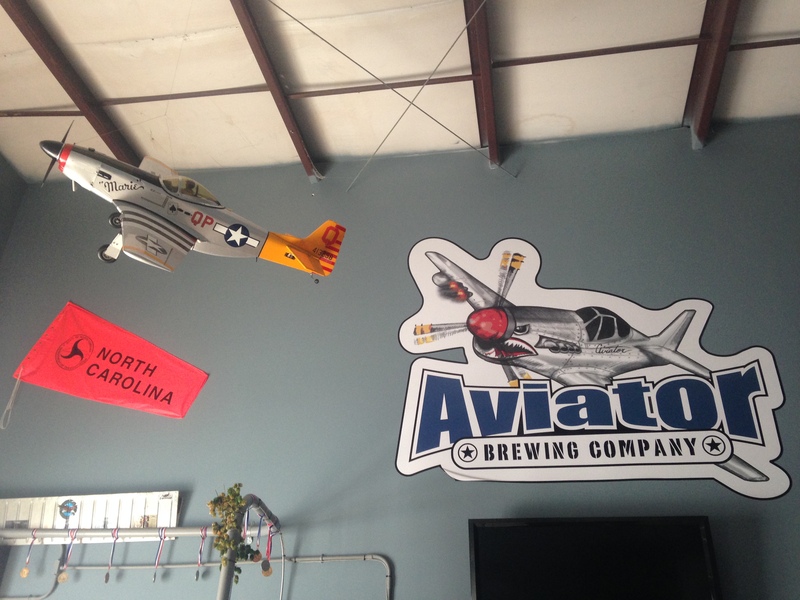 Aviator Brewing Company also brews a HorsePower Double IPA, an over-the-top IPA hopped to the extreme and fermented so it is unsweet. Perhaps one of the most well-known IPAs in Greater Raleigh is Big Boss Brewing Company‘s High Roller IPA. The High Roller IPA is a traditionally hopped ale based on the English style. Centennial, Cascade and Columbus hops are balanced by a sturdy malt backbone. A former “tap-room-only” beer was released to the market in early 2012. If you’re in Wake Forest, visiting White Street Brewing Company is a must. White Street Brewing Company’s Hoptimist IPA is a hop showcase that spares no expense to impart a positive outlook to the most discerning hop heads. This glass-half-full IPA has notes of pungent citrus and earthy resins with an uplifting malt balance. Natty Greene’s Pub & Brewing in the heart of Glenwood Ave. is serving up its Elm Street English IPA. This American cousin of the classic English IPA is well-rounded and refined with a malt-forward character. Natty Greene’s dry hops the beer with three Oregon hop varieties, which have a fruitier flavor and a peach-like tone. Located in Holly Springs, Bombshell Beer Company is brewing a session IPA with balanced notes of pine and subtle citrus. The Lost My Way IPA is a perfect beer to enjoy on a gorgeous spring day. Hi Jeremy. We definitely love the Rocket Science from Fullsteam. However, this blog post is only covering beers in Greater Raleigh and does not include Durham or Chapel Hill. Questions, comments, suggestions? Contact us at 1.800.849.8499, 919.834.5900, or visit@visitraleigh.com.